Here's the list of top Hollywood movies released in 2016. Just get detailed information below. So many Hollywood movies come out every year. In 2015, we are pleasant to see the release of Hollywood blockbusters like Avengers: Age of Ultron, Terminator: Genisys, and Ant-Man. So, is 2016 another significant Hollywood year? What will or has come out in 2016? Which Hollywood movie creates a strong buzz in 2016? 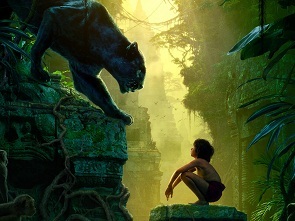 As a matter of fact, many big budget Hollywood movies are made for 2016. On this page, we have collected the best 20 Hollywood movies of 2016 with release dates, plots and other information. In this part, we will go into top 10 new Hollywood movies of 2016 in detail in chronological order. Kung Fu Panda 3 is the third installment of Kung Fu Panda franchise, following Kung Fu Panda (2008) and Kung Fu Panda 2 (2011). Its release date was shuffled around so many times, and finally was due for releasing on January 29, 2016. 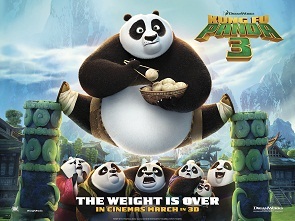 In this Hollywood film, Po reunites with his biological father and comes to a secret panda paradise where he trains a village of clumsy and lovely pandas to become the band of Kung Fu Pandas to fight against the villain named Kai. Deadpool, as a Marvel superhero movie and the eighth installment in the X-Men film series, stirred up hot discussion without doubt. Millions of people have watched the trailer on YouTube before release and show their interests to this new 2016 Hollywood movie. "Deadpool" tells the origin story of former Special Forces operative turned mercenary Wade Wilson, who after suffering from a rogue experiment that leaves him with accelerated healing powers, adopts the alter ego Deadpool. 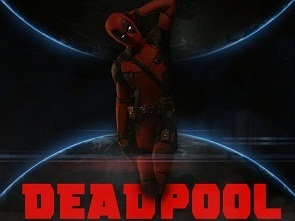 Armed with new abilities, Deadpool hunts down the man who nearly destroyed his life. 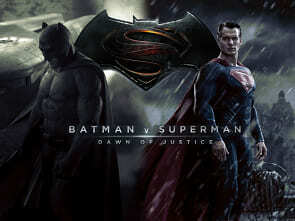 It is safe to say that Batman vs Superman is the most eagerly awaited Hollywood movie in 2016. The number of visits to the official teaser trailer posted by Warner Bros. on April 17, 2015 has reached about 48 millions in a short time. It is the battle between Batman and Superman, and also Marvel and DC Fight. Batman, Gotham City's own vigilante, heads to Metropolis's most admirable savior to challenge Superman. But during the fighting, a new threat comes to this city. 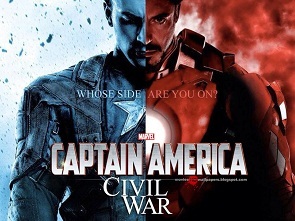 Captain America 3: Civil War is the thirteenth installment of the Marvel Cinematic Universe. Have you noticed that this is the second Marvel movie in this Hollywood movies list of 2016? This story happens after Avengers 2: Age of Ultron. Captain America leads a new team of Avengers around the world to stop threats. Unluckily, an incident leads to the Avengers developing a dispute over how to handle situations, which escalates into an open fight between allies Iron Man and Captain America. 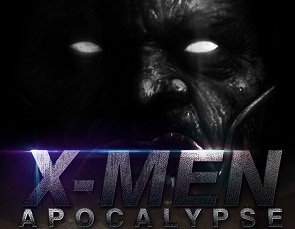 X-Men: Apocalypse is the sequel to X-Men: Days of Future Past and the end of "X-Men" trilogy. It is also directed by Bryan Singer. Jennifer Lawrence, Michael Fassbender and James McAvoy return. They travel back in 80s of the last century and team up with X-Men to confront with unprecedented enemy Apocalypse (played by Oscar Isaac). 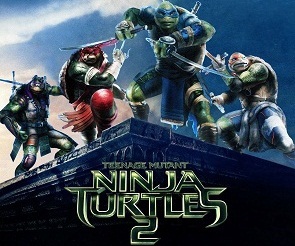 If you want to see a Hollywood comedy movie in 2016, Teenage Mutant Ninja Turtles 2: Out of the Shadows (old name: Teenage Mutant Ninja Turtles: Half Shell) is a good choice. It is the sequel to the 2014 hot summer movie Teenage Mutant Ninja Turtles. After the 2014 film exceeded box office expectations, Paramount immediately announced that the sequel would be released on June 3, 2016. The Turtles must confront an even greater nemesis: the notorious Krang in this Hollywood movie in 2016 after facing Shredder. Production company: Evergreen Media Group, New Line Cinema, Safran Company, etc. The Conjuring 2: The Enfield Poltergeist is the sequel to the The Conjuring (2013 Horror movie) which was commercially and critically successful. The Conjuring 2 was originally scheduled to be in cinema on October 23, 2015, as a Halloween movie of 2015, but later it was moved to June 10, 2016. Back in the 1970's, the Warrens investigated claims of demonic possession from a pair of sisters in Enfield, England. During the investigation the Warrens witnessed levitations, dematerialization, and had conversations with the demon itself. If you are crazy about the first four Ice Age films, you shouldn't miss this new Hollywood animation movie. 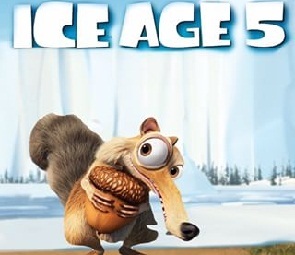 Ice Age: Collision Course, also named Ice Age 5, is the sequel to the Ice Age: Continental Drift (2012). It tells a story that Manny, Diego, and Sid join up with Buck to fend off a meteor strike that would destroy the world. Production Co: Atlas Entertainment, DC Entertainment, Dune Entertainment, etc. 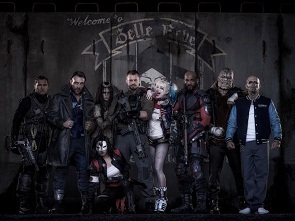 Suicide Squad is a superhero movie based on the DC Comics antihero team of the same name, and also the third installment in the DC Extended Universe. Its trailers received tens of millions of hits soon. It is evident that it is definitely a hit Hollywood movie in 2016 summer. This film focuses on a group of imprisoned supervillains who are recruited by a secret government to carry out dangerous black ops missions in exchange for commutation. * Rip DVDs of any copy protected Hollywood movies to MP4, AVI, WMV, MOV, MPEG, FLV, 3GP for watching on Windows (10/8/7) PC or Mac OS X. * Fast convert Hollywood movies DVDs to iPhone (7/SE/6s), iPad (Pro/Air/mini), Samsung/Sony/Huawei Android phones, Windows Phone, Surface Pro, Xbox, PS3/4 etc. * Copy DVD to ISO file or VIDEO_TS Folder at 1:1 ratio, as well as backup the full title or main title to a single MPEG2 file. * Deliver No. 1 FAST DVD ripping speed due to its Multi-core utility (up-to-8), Super Encode Engine and Hyper-threading Tech. Free Download 2016 Hollywood Movies with WinX YouTube Downloader.